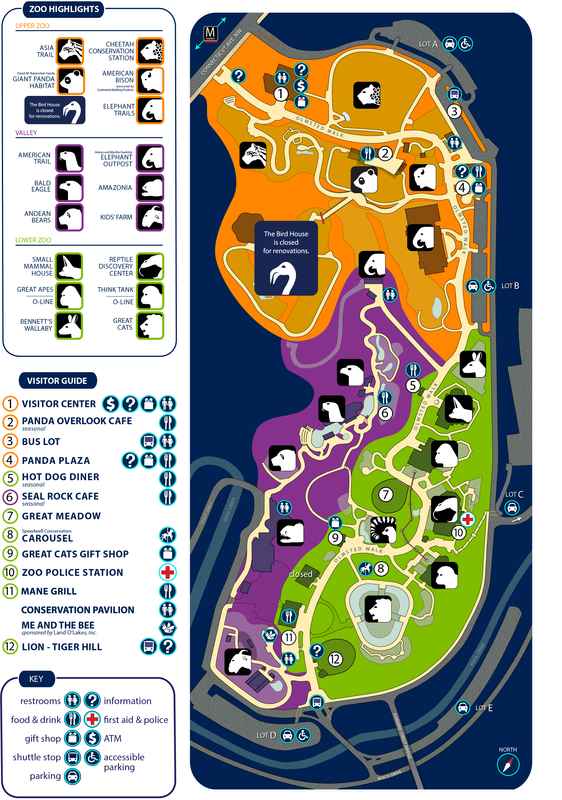 Download an accessible, printer-friendly version of this map. Download the Zoo Crew Training Manual, a family education guide to the Smithsonian’s National Zoo. Use it to help structure a visit and navigate through the Zoo, learning about animals, Smithsonian science and conservation success stories along the way. Families are encouraged to use this guide as an educational resource and activity booklet as they visit some of the Zoo’s exhibits. Please note that this guide is intended for adults and children to share. Not all animals or sections of the Zoo are included in this booklet. Download the Spanish-language Zoo Crew Training Manual.